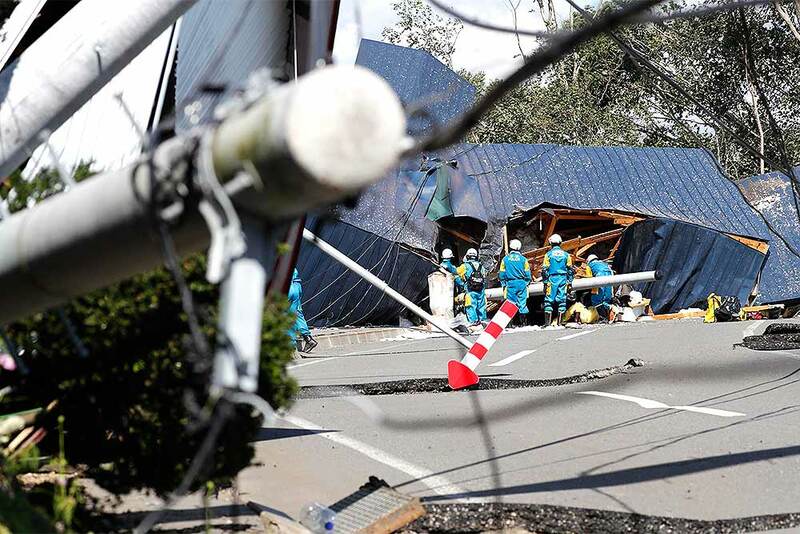 A powerful earthquake hit wide areas on Japan's northernmost main island of Hokkaido triggering landslides as well as causing the loss of power at nearly all of 3 million households and a nuclear power plant to go on a backup generator. 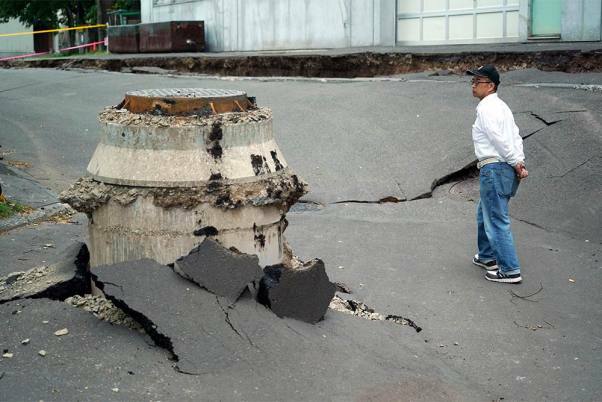 A neighbor walks by a manhole where the ground sank by an earthquake in Kiyota, outskirts of Sapporo city, Hokkaido, northern Japan. 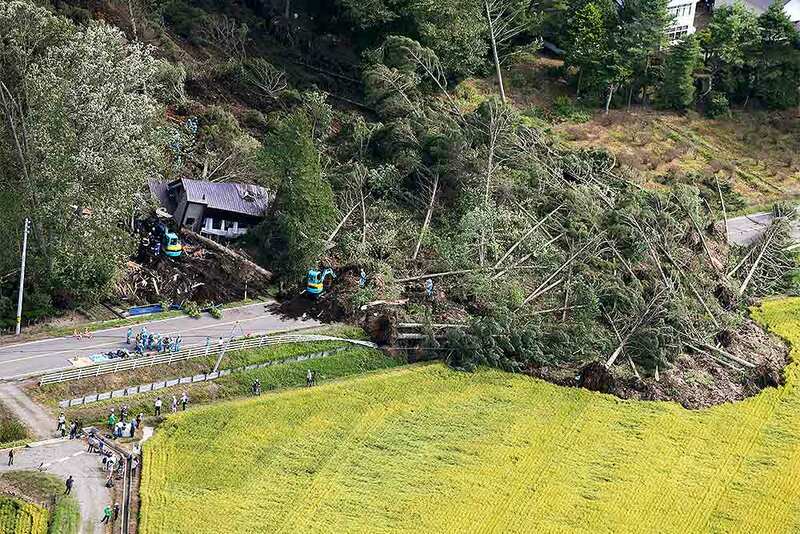 A powerful earthquake hit wide areas on Japan's northernmost main island of Hokkaido early Thursday, triggering landslides as well as causing the loss of power. 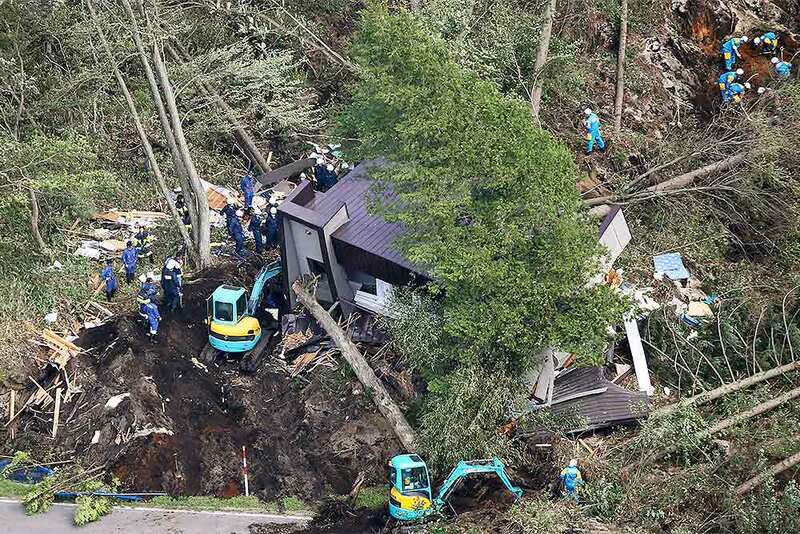 Police search missing persons at the site of a landslide triggered by an earthquake in Atsuma town, Hokkaido, northern Japan. 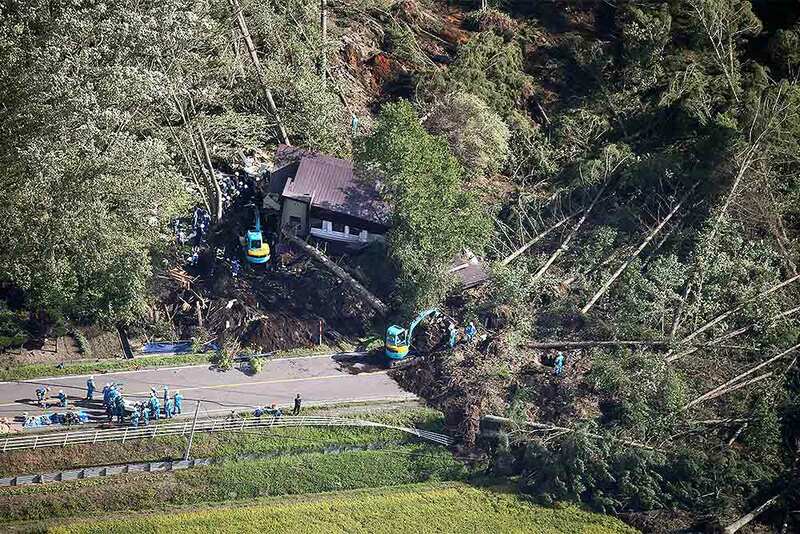 Police search missing persons around buildings destroyed by a landslide triggered by an earthquake in Atsuma town, Hokkaido, northern Japan. 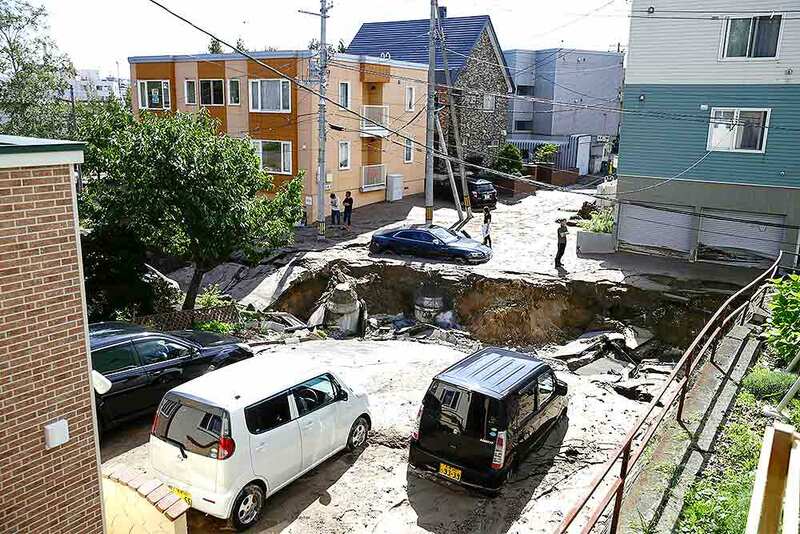 Cars sit on a road damaged by an earthquake in Sapporo, Hokkaido, northern Japan. 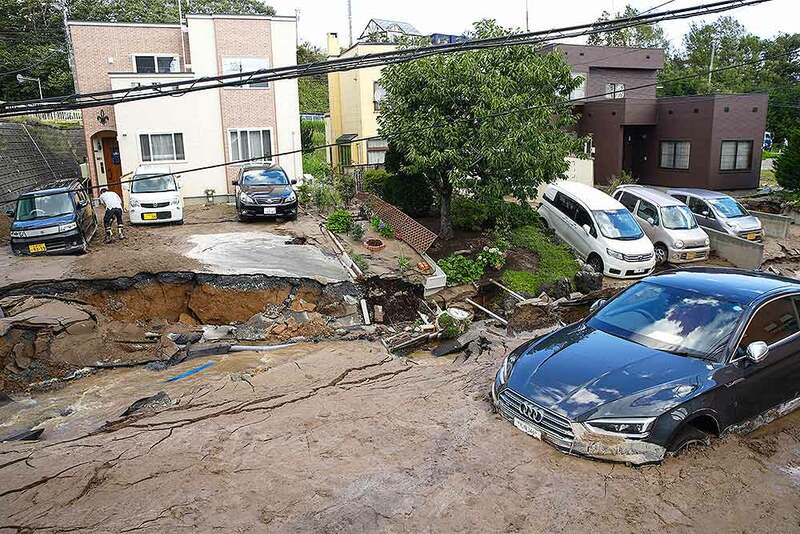 Cars are stuck in mud covered road after an earthquake in Sapporo, Hokkaido, northern Japan. 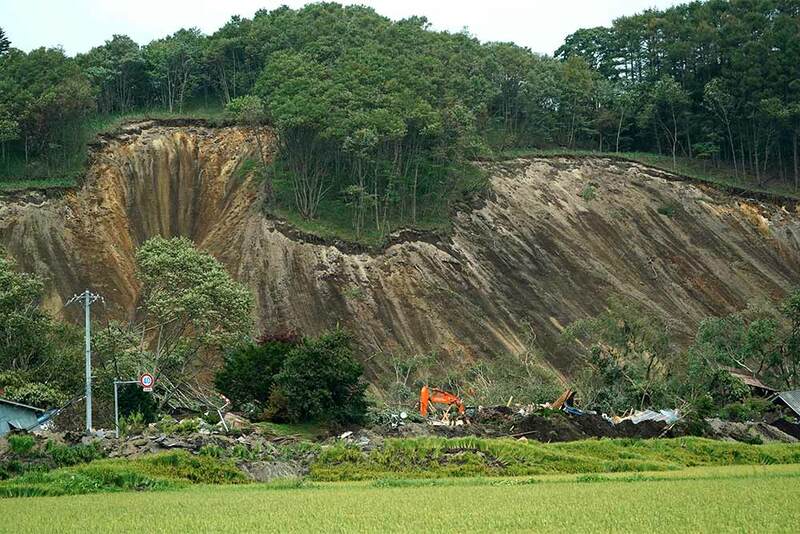 Police search missing persons at the site of a landslide after an earthquake in Atsuma town, Hokkaido, northern Japan. 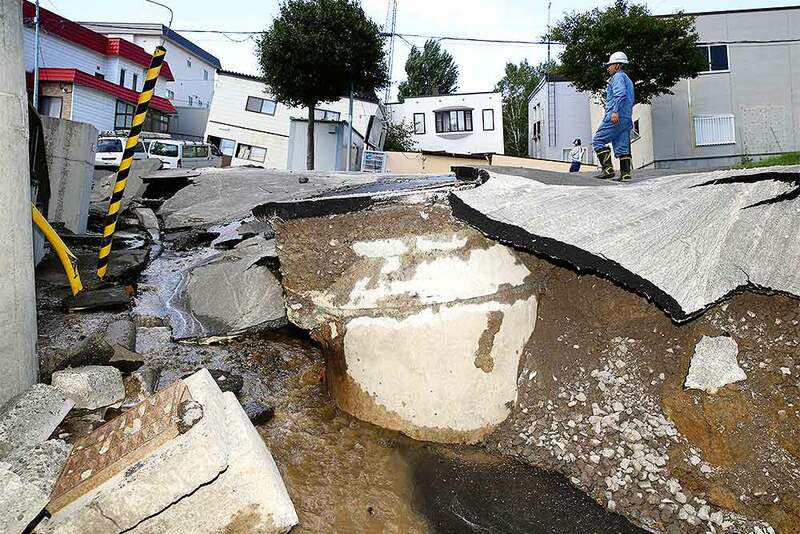 A road is damaged by an earthquake in Sapporo, Hokkaido, northern Japan. 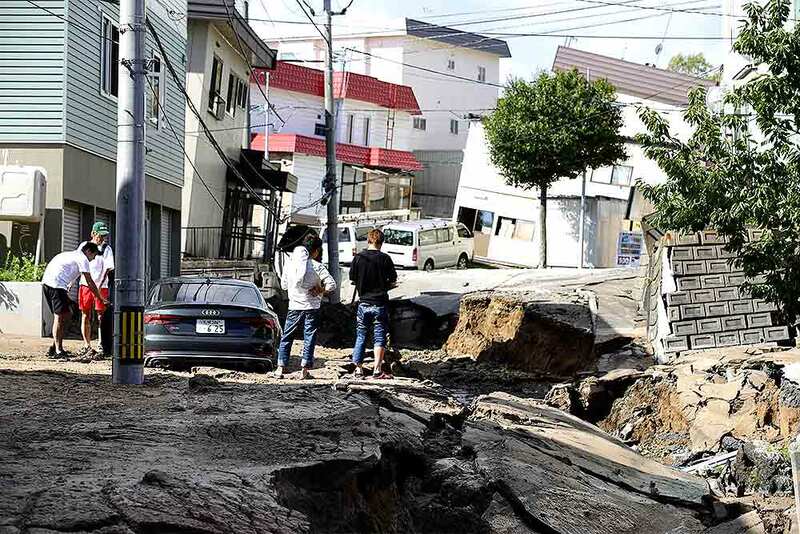 Residents watch a road damaged by an earthquake in Sapporo, Hokkaido, northern Japan. 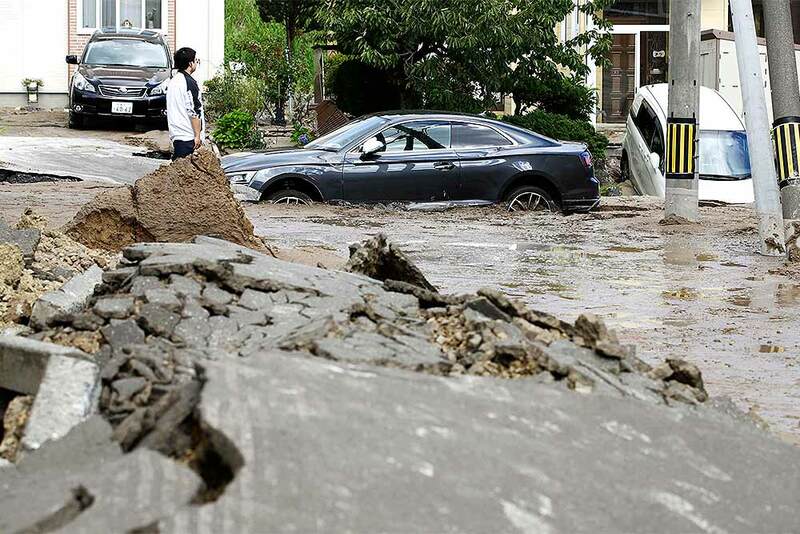 Cars are stuck in mud-covered road after an earthquake in Sapporo, Hokkaido, northern Japan. 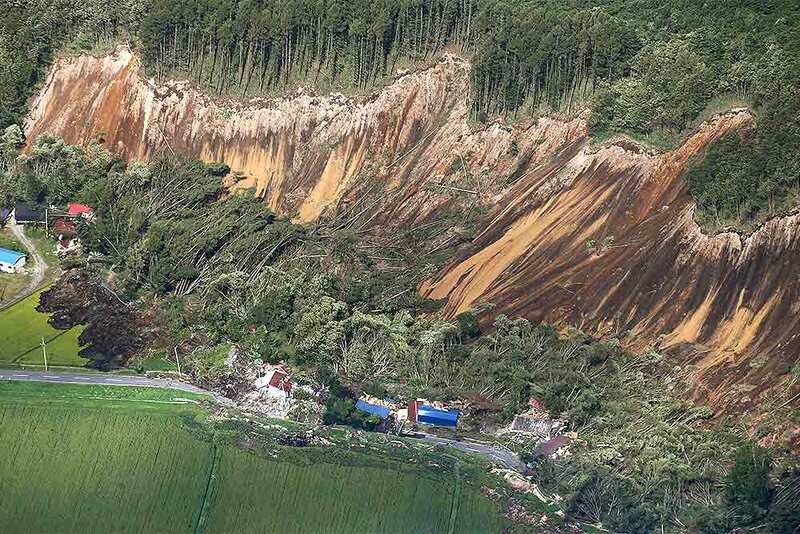 Houses are destroyed by a landslide after an earthquake in Atsuma town, Hokkaido, northern Japan. 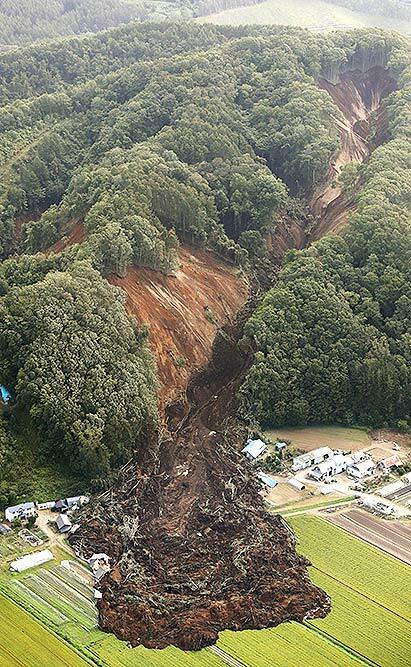 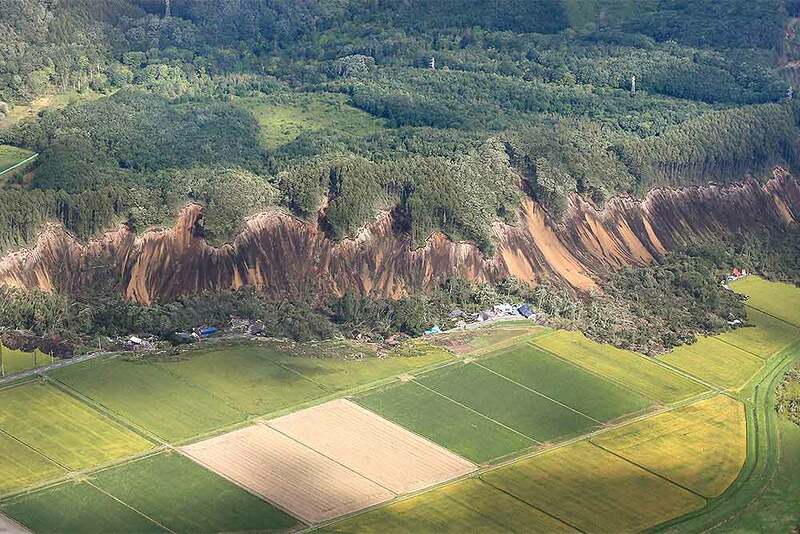 This aerial photo shows the site of a landslide after an earthquake in Atsuma town, Hokkaido, northern Japan. 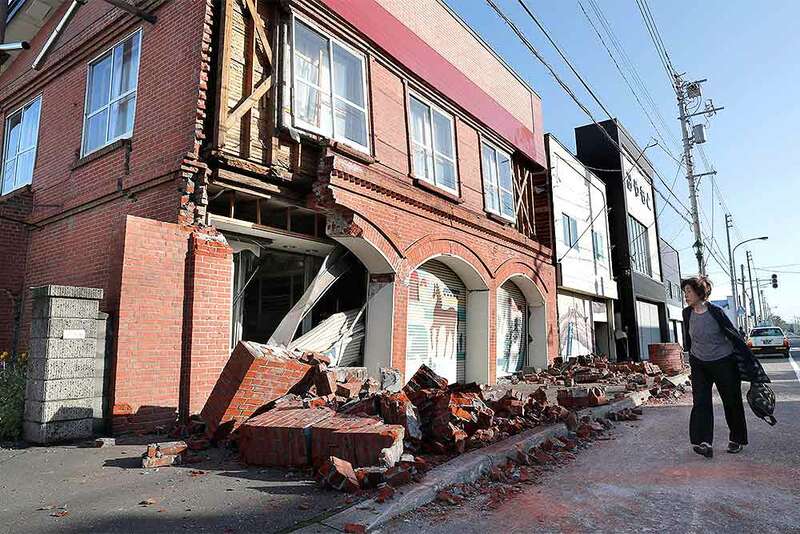 A woman walks past a damaged building in Abira town, near Chitose, Hokkaido, northern Japan following a strong earthquake. 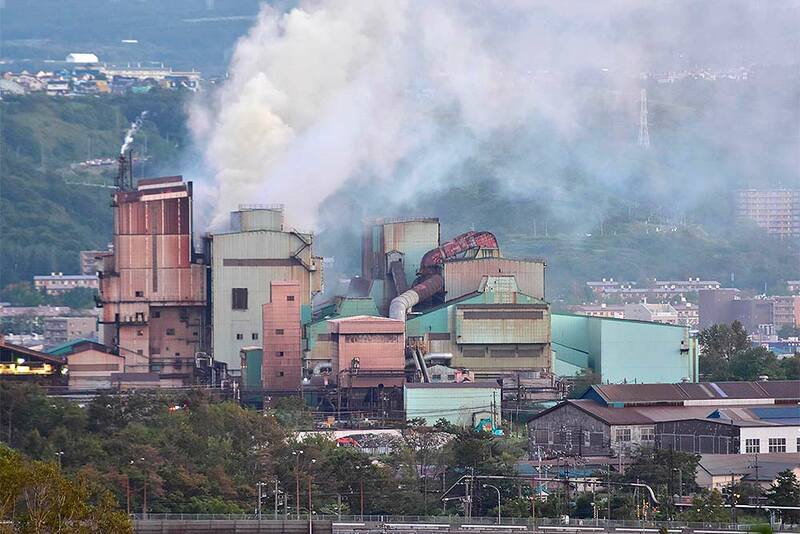 Smoke billows from the facilities of Mitsubishi Steel Muroran Inc. during a fire following an earthquake in Muroran, Hokkaido, northern Japan. 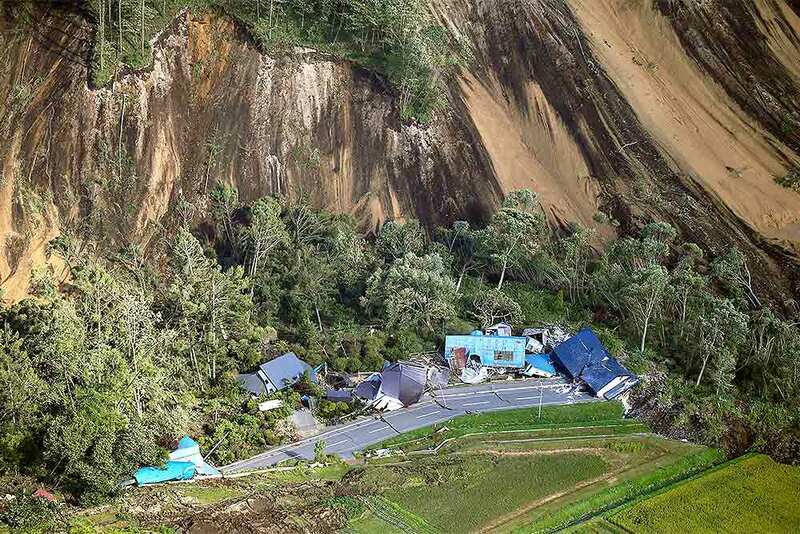 This aerial photo shows houses destroyed by a landslide after an earthquake in Atsuma town, Hokkaido, northern Japan. 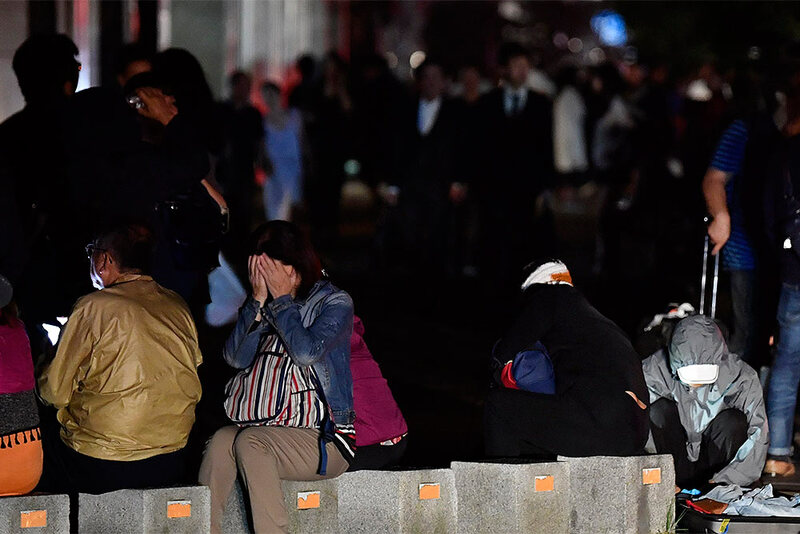 A woman covers her face as she takes shelter on a road following a strong earthquake in Sapporo, northern Japan.